Albemarle Flea Market. Stony Gap Road. Highway 52 South from town. Hours Friday and Saturday 11am-10pm, Sunday 1pm-9pm. Ample parking. Approximately 50 dealers. Indoor market located in a former skating rink. Collectibles, primitives, advertising items abound, glassware, new and used merchandise. Lots of garage sale items. Space from $18. Reservations required. Snack bar, restrooms. c/p Lyman Jones, Rt. 1, Box 3167. Mt. Gilead, NC, 27306. (704) 982-5022. Hillbilly Mall. Highway 197/74 Bypass. Hours: 8am until dark. Free adm, ample free parking. 100,000 sq ft indoor facility. Snack bar, restrooms, h/a. (828) 321-2386. Smiley's Flea Market & Antique Mall. Exit 13 off I-26. North approximately 1 mile. Ample parking. Approximately 400 spaces. Well attended market, interesting market with lots of everything especially local crafts. Covered space from $5 per day. c/p Box 458, Fletcher, 28732. (704) 684-3532. Requires NC vendors license - $5. Aunt Fanny's Flea Market. Highway 74. (704) 586-1413. Uncle Bill's Flea Market. Route 441-N and 74. Free adm, ample free parking. Large outdoor/indoor commercial market with approx 150 dealers. Market also features many permanent antique and craft shops that are open daily. Great scenic and vacation area. c/p Ben Seay, (704) 586-9613. I-85 Flea Market. 3867 Dallas-High Shoals Highway. Hours: 8am to 4pm. Indoor/outdoor market with approx 400 dealers. Antiques, collectibles, furniture, electronics, jewelry, crafts, livestock, new and used merchandise, produce, tools and toys. Space from $12. per day outside and $20. inside. Snackbars, restrooms, h/a. c/p David Stewart, Box 402, 28034. (704) 922-1416. (Fax: (704) 922-4525. Wildcat Flea Market. Highway 421. 7 miles east of Boone. Hours: 8am to 5pm. Market is located deep in the Blue Ridge Mountains. Approx 70 dealers. Crafts, antiques, collectibles, new & used merchandise,. Great place to spend the day or weekend. Market conducts an auction on Saturday nights. Space from $5. a day. Restaurant, restrooms. c/p Kevin Richardson, Rt. 7, Box 43. Boone, NC 28607. (828) 264-7757. 441 Flea Market. Highway 441, one mile south of town. Ample parking. Approximately 20 dealers. Outdoor market with some sheds. Lots of collectibles, secondhand junk, tools, housewares and garage sale items. Snack bar. restrooms. Space from $5. per day. c/p Padgett McCoy, Box 414. Sylva, NC 28779. (704) 586-6768. Flea Market. 2523 East Club Blvd. Starlite Drive In Theater. I-85, Exit 179. Hours 8am-4pm. Ample parking. Outdoor market with approximately 75 dealers. Collectibles, memorabilia, guns, primitives, crafts, art, decorator items, always plenty of tobacco collectibles. New and used merchandise. Snack bar, restrooms, h/a. c/p Kathy Bednarz. (919) 688-1037. Eden Flea Market. 122 N. Van Buren Road. Highway 14 N. Hours Friday 1pm-7pm, Saturday 8am-6pm, Sunday 8am-5pm. Ample parking. Average daily attendance 1,500. Approximately 50 dealers. New merchandise, jewelry, sportswear, electronics, house wares, tools, sports merchandise. Used merchandise, country collectibles, produce, crafts. Food available, restrooms, h/a. Inside & outside space available. Space from $5 daily outside, $25 week inside. Electric available. No campground. c/p Phillip McCollum, (336) 627-9440 or 623-2111. U.S. Flea Market Mall. 504 N. Mc Pherson Church Road. Hours 10am-7pm. Indoor market, with approx 500 spaces. Market has many fine antiques and overall a very high quality of goods, majority of the booths here are well stocked with the latest in new merchandise, severely discounted. Space from $20. per day. Snack bars, Oriental restaurant and regular restaurant, clean restrooms. Camping avail. C/p manager, Box 35065. 28303. (910) 868-5011. Smiley's Flea Market & Antique Mall. Exit 13 off I-26. 1/2 mile north on U.S. 25. Hours 8am-5pm. Ample parking. Approximately 250 dealers outside. Good selection antiques, collectibles, primitives, country, memorabilia, quality glassware and silver. New merchandise, electronics, music, house wares. Used merchandise. Good all around market and a very worthwhile stop. Snack bar, restrooms h/a. Antique Mall open daily Apr-Dec. Flea Market open year round. Spaces are 10x10 and start at $10. Camping, water and electricity available. c/p Wade McAbee, Box 458. 28732. (828) 684-3532. Fax: (828) 684-5651. Franklin Flea & Craft Market. 199 Highlands Rd. 1 mile from downtown. Approximately 90 covered booths, 8 permanent stores. Crafts, antiques, collectibles, jewelry and gem stones, new merchandise, used merchandise, souvenirs especially locally produced food items. Space from $20. for the weekend. Snack bar, restrooms, h/a. Open Apr-Nov. c/p Manager, 867 Highlands Rd. 28734. (828) 524-6658. Goldsboro Flea Market. 2102 Wayne Memorial Drive. Hours 8am-5pm. Free adm. Ample parking. Indoor/outdoor market with approximately 250 dealers. Antiques, collectibles, crafts, vintage clothing, glassware, jewelry, silver. New and used merchandise. Snack bar, restrooms, h/a. This is a clean, friendly, well managed market. Space from $10 outside. $20. inside. c/p Keith Hartzog, 2102 wayne memorial Drive, 27530. (800) 282-FLEA or (919) 736-4422. Country Junction Flea Market. Highway 70 West between Rosewood & Princeton. Great country market with lots of desirable country and farm collectibles along with a lot of junk. Food available, restrooms. Space from $6. (919) 735-5307. Flea Market. Highway 70 West, next to Second Fling at Dewey Auction, two miles West of Goldsboro. New merchandise, surplus, closeouts, jewelry, clothing, house wares. Used merchandise, farm items. Food available, snack bar, restrooms. 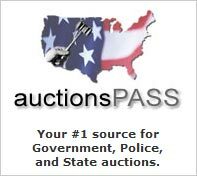 Auctions every 2nd & 4th Saturday nights. (919) 734-7684. Super Flea Market. Greensboro Coliseum. 1921 West Lee Street. Hours Saturday 8am-5pm, Sunday 10am-5pm. Admission $2. Ample paid parking. Average weekend attendance 8-10,000. Indoor market with approximately 400 dealers. Market is heavy on antiques and collectibles and limited new merchandise. This is a good source market for shopkeepers, dealers, collectors and decorators. Worth the drive. Snack bar, restrooms, h/a. Space from $70 for the weekend. c/p William Smith, 703 Simpson St. 27401. (336) 373-8515. Poor Mans Flea Market. Highway 264 between Greenville and Washington. Used merchandise, garage sale items, farm & ranch items, prepackaged food, produce, crafts. Food available. Flea Market. Fairgrounds. Ample parking. New and used merchandise, antiques, collectibles, used merchandise, clothing, house wares, crafts, produce. Food available, restrooms, h/a. (919) 758-6916. Augusta Road Drive In Theater Flea market. Junction's of I-85 and Highway 25. New merchandise, sportswear, western wear, electronics, jewelry, house wares. Used merchandise, farm items, collectibles, crafts, produce. Outdoor market. Snack bar, restrooms, h/a. (919) 277-9846. Vintage Village. 2832 Hwy 421 South. I-77 & U.S. Highway 421 S. Ample parking. Average weekend attendance 9,000. Antiques, collectibles, glassware, pottery, fine jewelry, silver, coins, vintage clothing, country collectibles. Used merchandise, decorator items, books, art, prints, Civil War items. Snack bar, restrooms, h/a. 160 indoor spaces 12x10. Covered outside spaces. (336) 468-8616. Thunderbird Drive In Theater Flea Market. 3451 Springs Road. Hours 8am-4pm. Ample parking. Market averages 250 dealers. Antiques, collectibles, crafts, used and new merchandise. Snack bars, restrooms, h/a. Outdoor/indoor market with some covered spaces. Space from $5. per day. c/p Jim Springs, 3451 Springs Rd. 28601. (828) 256-7669. Hickory Flea Market. I40 west, Rock Barn Road left on Hwy 70/321,go about 7 or 8 miles and fairgrounds are on your left. Outdoor market with approximately 300 dealers. Antiques, collectibles, crafts, primitives, lots of used and secondhand items. Limited new merchandise. restrooms, h/a. This is a real classic southern market that is a real education to visit. Space from $8 per day. 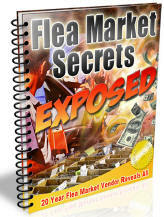 Flea Market. I-40 Trade Lot. I-40, Connley Springs, exit 113. Hours 6am-5pm. Ample parking. Outdoor market. Antiques, collectibles, primitives, advertising items, farm items, antique toys, coins, silver, jewelry, livestock, new merchandise, sportswear, house wares, lots of secondhand merchandise. Snack bar, restrooms, h/a. Space from $5. per day. Westchester Flea Market. 2200 Westchester Drive. Highway 68. Hours 8am-5pm. Ample parking. Indoor market with approximately 250 dealers. Crafts, collectibles, fishing items, new and used furniture, secondhand merchandise. Snack bar, restrooms, h/a. Video arcade. Space from $15. c/p Brenda Mauldin, (910) 884-5063. Westchester Flea. 715 W. Main Street. Jamestown Shopping Center. 27282. Open 9am to 5 pm. Free admission and parking. heated and air conditioned. Space 10x12 w/one table, $15. per day. Electricity available. Farm City Flea Market. 4348 Kernersville Road. Hours 8am-5pm. Ample parking. Indoor/outdoor market with approximately 200 dealers. Collectibles, memorabilia, crafts, new and used merchandise, furniture, house wares. Snack bar, deli, restrooms, h/a. c/p Tommy Chandler, (919) 784-4440. Indoor Flea Market. 306 W. Lake Drive. Indoor market with approx 25 dealers. c/p Fred Bear, (252) 441-8830. Farmers & Flea Market. Old Highway 64 West. Hours daylight 'til dark. Ample parking. Average daily attendance 3,000. Market averages 250 vendors. Real country market with old time atmosphere and lots of good stuff and some not so good. Market is open on Monday's for wholesale only, tax id required to purchase wholesale, approximately 100 wholesalers set up selling various lines of merchandise at wholesale. Indoor and outdoor space available. Camping and electricity available. Space from $15. c/p Tim Fritts, Rt. 15, Box 1357. 27292. (336) 248-2157or 248-2222 for wholesale market. Fax (336) 246-8693. Davidson Farmers Livestock & Flea Market. Old Highway 64. Market open all day Tuesday and half day Wednesday. Ample parking. Used merchandise, garage sale items, treasures & trash, farm items, lots of tack, new merchandise, pre-packaged food, clothing, house wares, produce, livestock, pets. Food available, restrooms. Lots of walking. (336) 248-2173. Traders Station Flea & Farmers Market. West 5th Street. I-95, exit 14 or 17. Ample parking. Approximately 200 vendors. Antiques, collectibles, silver, jewelry, glassware, pottery, memorabilia, Civil War items, books, art, crafts, prints, new merchandise, some great collector lines here. Restaurant, restrooms, h/a. Outdoor/inside market. (919) 738-4519. Sweet Union Flea market. 402 hwy 74 West. Hours 8am to 5pm. Free adm & ample free parking. Indoor/outdoor market with approx 250 dealers. Antiques, collectibles, new and used merchandise, garage sale items. Space from $10. per day. Snackbar, restrooms, h/a. c/p Manager, 402 hwy 74 West. 28110. (704) 283-7985. Jamestown Flea Market. Jamestown Road. I-40, Exit 100. Hours 7am-5pm. Ample parking. Average daily attendance of 4,500. Market averages 250 dealers. Good selection of merchandise here. Crafts, collectibles, new & used furniture, collectibles, coins, silver, jewelry, lots of new merchandise and secondhand items. Snack bar, restrooms, h/a. One of the areas better markets. Space from $10 per day. Camping available. Snack bars, restrooms, h/a. c/p P. W. Patton, Box 764, 28655. (704) 584-4038. Mountain Man Flea Market. Highway 52. Antiques, collectibles, farm and ranch collectibles, Civil War items, black powder items, toys, primitives. Good assortment of early collectibles here. Food available, restrooms. Greyhound Flea Market. 2134 W. Pine Street. Highway 89. Indoor market with approx 25 dealers in a 20,000 sq ft new building. c/p Nancy Dixon, (336) 789-0417. Decker's Flea Market. Junction of Routes 19 and 129. Hours 7am to 3pm. Market is located in the mountains of western North Carolina. Indoor/outdoor market with approx 100 dealer s. Antiques, collectibles, primitives, livestock, new and used merchandise. Space from $5. Good food avail, restrooms. c/p Jerry Decker, Box 453. 28906. (828) 837-5753. Shady Acres Flea Market. Highway 49. Hours 7am-4pm. Ample parking. Outdoor market with approx 100 dealers. Collectibles, some antiques, new merchandise, house wares, furniture, lots of secondhand merchandise. Snack bar, restrooms, h/a. space from $8. per day. c/p Floyd Goins, Box 928. Denton, NC 27239. (704) 869-5386. Catawba Trading Lot. Catawba River Road. I-40, Exit 73. Hours 7:30am until dark. Ample parking. Approximately 150 dealers. Antiques, collectibles, memorabilia, primitives, country, vintage clothing, farm items, glassware, antique toys. No new merchandise. Snack bar, restrooms, h/a. Outdoor market with some covered spaces. c/p Phillip Lowery, Box 269. 28762. (704) 668-4737 or 668-4511. Watson's Flea Market. 1436 Rock Quarry Road. I-40, exit 30. Hours: 8am to 5pm. Ample parking. Average daily attendance of 2,500. Approximately 150 dealers. New and used merchandise, antiques, collectibles, silver, coins, vintage clothing, jewelry. Indoor & outside space avail. Restaurant, handicap accessible, clean restrooms. Space from $5. Camping available. This is a very pleasant, clean, friendly, well managed market. c/p Ebern Watson, 1436 rock Quarry Rd, 27611. (919) 832-6232. Flea Market. Fairgrounds. 2200 Atlantic Avenue. Raleigh Beltway, Exit 10. Hours 7am-5pm. Free adm. Ample free parking. Indoor/outdoor market with approximately 500 dealers. Antiques, collectibles, furniture, crafts, produce, lots of bric-a-brac, used items and garage sale merchandise. Good selection of new merchandise. Space from $16. per day outside. One of the outstanding markets in the South. c/p Joan Long, Box 33517. 27636. (919) 829-3533. Fax: (919) 829-3533. Randleman Flea Mall. Highway 220, Randleman exit. Ample parking. Antiques, collectibles, silver, coins, vintage clothing, Civil War items, books, art, prints, new merchandise, used merchandise, crafts. Snack bar, restrooms, h/a. 158 Flea Market. I-95, Exit 173 West. Ample parking. Indoor/outside market with Approximately 20 vendors. Market is mainly collectibles, secondhand items and great selection of locally made country crafts. Space from $4. (919) 535-4242. Flea Market. Highway 117. Hours 10am-5pm. Ample parking. Indoor/outdoor market with approximately 10 dealers. Some collectibles, crafts, lots of used and garage sale items. These are the kind of places we find a treasure. No food. c/p Joe Stallings, (910) 675-3023. Sharon's Discount Flea Market. Highway 21. I-40, Exit 151. I-77, exit 54. Indoor market with approx 50 dealers. c/p Sharon Fuller, (704) 838-0948. Statesville Flea Market. 1441 N. Center Street. Highway 115. I-40, Exit 150. Hours 9am-6pm. Ample parking. Outdoor/indoor market. collectibles, crafts, house wares, garage sale items, surplus, new merchandise. Restaurant, restrooms, h/a. Space from $15 per day. c/p George Turnage, (704) 878-6426. Eleven Acre Flea Market. 825 Julian Ave. I-85, exit 103. Hours 5am-5pm. Ample parking. Market averages 200 dealers. Indoor/outdoor market with some covered spaces. Collectibles, farm items, coins, crafts, advertising items, house wares, memorabilia, primitives, new merchandise, electronics. Used and garage sale merchandise. Space starts at $10. outside. Snack bar, restrooms, h/a. c/p Andrew Pope, 9 College St. 27360. (336) 472-0244 or 476-9566. Fax: (910) 472-0244. Jupiter Flea market. #20 Old Jupiter road. Highway 19-23, Jupiter Exit. Hours Friday 12am-9pm, Saturday and Sunday 7:30am-4:30pm. Ample parking but long walk to the market from parking lot. Indoor/outdoor market with approximately 300 dealers. Collectibles, primitives, farm items, new and used merchandise. Snack bar, restrooms. Market is located in an old school house. Space from $10. per day. c/p Steve Neshem, (704) 645-6116. Starway Flea Market. 2346 Carolina Beach Road. Route 421. Hours Friday 8am-8pm. Saturday 6am-4pm. Sunday 7am-4pm. Free adm. Ample parking. Indoor/outdoor market with approximately 150 dealers. Collectibles, memorabilia, primitives, country, farm items, decorator items. new merchandise, and lots of used items. Space from $5. on Friday outside. Reserve inside space early. Snack bar, restrooms, h/a. c/p Doyle Penley, 2346 Carolina Beach Rd, 28401. (910) 763-5520.